Best Price & Best Service | Aberdeen, South Dakota 57401 | Pierson Ford-Lincoln, Inc.
At Pierson Ford, you get the Best Price Guarantee! We guarantee that you will receive the best price from us to save you time & money from shopping around! In the rare event that you are able to find a better deal elsewhere, give us the opportunity to match or beat the other dealer's offer and we will ensure that you’re able to keep your business in town! We will back our guarantee with $100. If we aren’t able to match or beat another price, we will give you $100 upon your purchase of the competing vehicle. You will need to bring with you proof of the current advertised price to take advantage of this offer. Proof of price can be a print out you received directly from the competitor with the total cost to purchase the vehicle (including fees), an advertised offer (print or web, fine print must be included) or an email promotion that is viewable on your phone. Competitor offer must be current, cannot be expired. Any added accessories will not be taken into account. Customer must qualify for all incentives. All state and dealer fees will be additional. Price matching is available on in-stock and ordered new vehicles only. Competing offer must be from a Ford Dealer within a 200 mile radius. We reserve the right to verify pricing accuracy and availability of competitive ads for errors and omissions. Occasionally a competitor or media source will make a pricing error, which falls outside our price match policy. 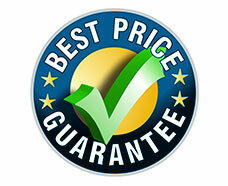 Price match Plus guarantee is Valid for date of purchase only. Customer must purchase from the offering dealer the subject unit (same VIN, components, and price/terms) within 5 days of Pierson Ford's rejection at the terms and price of the legitimate offer to receive $100 guarantee. Customer to provide the other dealer's fully signed purchase order with matching VIN, the odometer statement, and the registration statement in the customer's name to receive $100.00. Such paperwork must be submitted to Pierson Ford within 10 days of purchase from the other dealer. Changes by the competing dealer in vehicle, selling price, or terms negates guarantee. Offers by other dealers after purchase of a vehicle from Pierson Ford do not apply. Dealer's price that includes rebates must be applicable to customer. (College graduate, AQHA, Military, etc.) Price guarantee on other Dealer's in stock new, unregistered, undamaged, and non demonstrator vehicles only. Vehicles with in excess of 500 miles will be considered demonstrators. 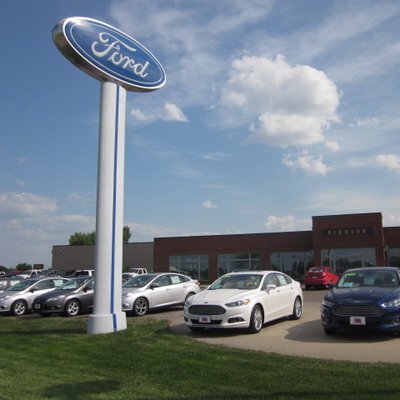 If Pierson Ford agrees to beat the legitimate and verified offer subject to finance approval on conditions acceptable to the customer, and if the financial institution to which the installment contract is to be assigned does not approve the financing, Pierson Ford is not obligated to the guarantee.